As promised yesterday, here is my other new bluebell painting, also of Hillhouse Wood. This shows the very striking boundary between the wood, thick with bluebells, and the field, which is why I’ve put it into my Landlines series. 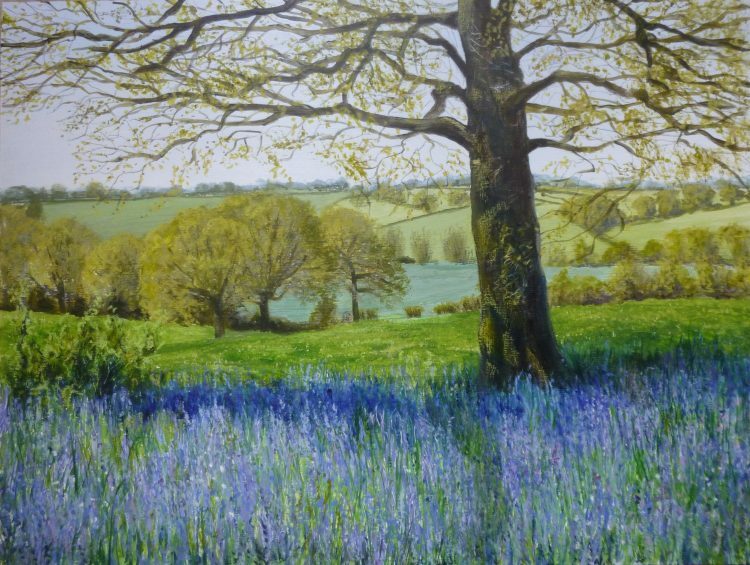 The bluebells look rather blue-er in this photo compared with the more violet shade in the painting, but this seems to be the best my camera can manage!